My big brother, Tigger, looks so sad! 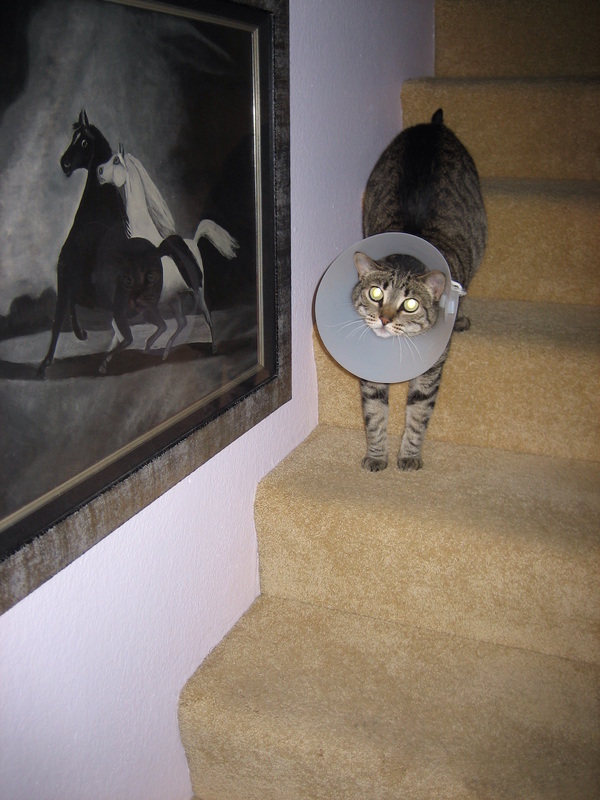 It's hard to come down the stairs with that 'thing' around his neck. He just had his third tumor removed. He lived 5 more years. He taught me important stuff like when & where to hide. I miss him.